People tend to think of Hurst, Euless and Bedford as one area: HEB or simply, “the mid-cities.” But they all have separate histories. Although Bedford flourished through the 1890s, it fell on hard times in the 1900s because of the way highways were built in the area, preventing traffic through the town. Bobo’s store remained, but even by 1940, there were only 80 residents in the town. Thanks to construction, shopping centers and the DFW International Airport, Bedford has rebounded and is now home to more than 46,000 residents. Some of those 46,000 people are our customers, and we take pride in every job we do! 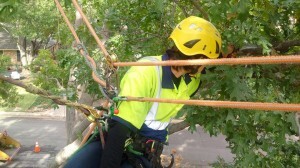 For superior Hurst-Euless-Bedford tree trimming, call Integrity Tree Care. Pruning service is just one of our specialties! But Hurst was also home to a colorful character; William Letchworth “Uncle Billy” Hurst entertained people with his fiddle-playing, but he was also good at business. In 1903, he made a deal with the Rock Island Railroad to let them lay track on his property, with the stipulation that a depot would be built there as well. This was the main reason the townsfolk opted to go with his last name. Hurst, like the other two mid-cities, has seen impressive growth thanks to the addition of large companies and shopping centers. The three areas all have much to be proud of, and our team is happy to be a part of this community. 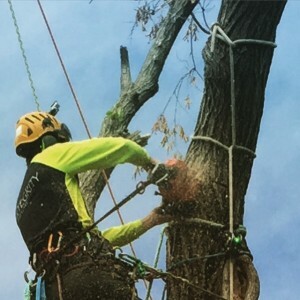 For the best in Hurst-Euless-Bedford tree trimming or pruning service, call us today to get started!